December 2014 – He Said What?! Exodus: They Didn’t Do It the Right Way! 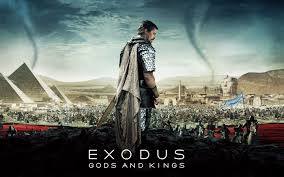 Aaron has been very excited over the past few weeks to see the movie trailers for the new Moses movie – Exodus: Gods and Kings. The movie meets several important criteria in order to stir Aaron’s interest: Loud…..large…..loaded with exciting scenes……for starters. Now, we’ve told Aaron over the years that most movies based on the Bible are not accurate. He thinks, then, that we mean those movies are bad. So we’ve had long discussions……..looooonnngg discussions……with him over this issue. We have told him that we just need to be discerning and wise, and don’t take the movie as being totally true. Just pay attention to the details. Well, Aaron did just that this past Friday when his day group went to see the new Exodus movie. He charged through the door at the end of his day, finding me right there nearby as I folded some laundry. And with that, he bent over and began rubbing his hands together rapidly…..a true sign of great excitement. And I asked a silly question. I asked Aaron if he liked the movie. Duh. “YES! !” he yelled again, his hands producing great friction at this point. And then he paused, and his hands became still. I continued folding laundry as I waited for the next shoe to drop……although Aaron would think I was weird for saying that because he was not holding a pair of shoes. Literal Aaron, you know. I agreed with his assessment about the burning bush, and we talked about how God spoke out of the burning bush. Oh yes, rude……as in building the golden calf? “Yes! !” Aaron……my Aaron……agreed. He said the movie didn’t show Aaron being rude. In fact, my Aaron said that the Bible Aaron wasn’t even in the Exodus movie. I don’t know…..I haven’t seen the movie. I only know what Aaron said……my Aaron. Later, at supper, Andrea called and right away Aaron just had to tell her about the movie he saw. It wasn’t long before Andrea, Gary, and I were all in stitches as Aaron told her about the Exodus movie and how wrong it was. “ANDREA!! GOD WASN’T A BUSH! !” And on and on he went, rubbing his hands together now because our laughter was egging him on. He was really getting into all this Biblical inaccuracy stuff! So I checked the book of Exodus, and lo and behold…..the Bible does say that Moses had TWO tablets. Way to go, Aaron……my Aaron. “How do you know there were only eight?” I foolishly asked. “Because I COUNTED them! !” he replied. Of course he counted them. That’s exactly what Aaron…..my Aaron…..would be doing as he sat there stuffing popcorn….and maybe the napkins…..into his mouth. He would definitely be counting the ten commandments that were missing two. Well, as my Aaron would say, we had many a discussion for the rest of Friday and for most of Saturday about the Exodus movie…..the burning bush…..how God spoke……the plagues…..the fact that Moses was happy when the Bible said he was angry…..
Oh, and how wrong the movie was about the Red Sea coming back together because Moses was still in the water and had to swim to land. “Moses didn’t SWIM in the Bible in the Red Sea!! !” he exclaimed. I think that Aaron has processed the movie to his mind’s content now. Maybe. And I am amazed at how much of the Biblical story he remembered, and remembered correctly. That’s the most exciting part to Gary and to me. Aaron….my Aaron…..said it very well on Saturday when he ended it all (maybe) by talking about Hollywood. “They were doing their own way to a movie!” he surmised. And I totally agree with Aaron’s wisdom! Author hesaidwhatksPosted on December 15, 2014 February 28, 2016 Categories Adult Autism, Asperger's Syndrome, Exodus movie, MoviesLeave a comment on Exodus: They Didn’t Do It the Right Way! Today was the day for Aaron’s scheduled MRI, a test being done because of a change in his seizures and the additional worry of an annoying Parkinson’s-like tremor in his right hand. Aaron, thankfully, has never minded medical tests or doctor visits of any kind, so today he woke up happy and ready to go to his appointment. Of course, we all know that these appointments are just a side trip to Aaron. The real purpose that he is going, in his mind, is our restaurant of choice for lunch, and the trip to Wal-Mart or some other fun store that also awaits. Therefore, on this day, his brain MRI was a bump in the road on his way to his true destination. He came in my bathroom to check on my hair and make-up progress. He had showered, dressed, and enjoyed his coffee. 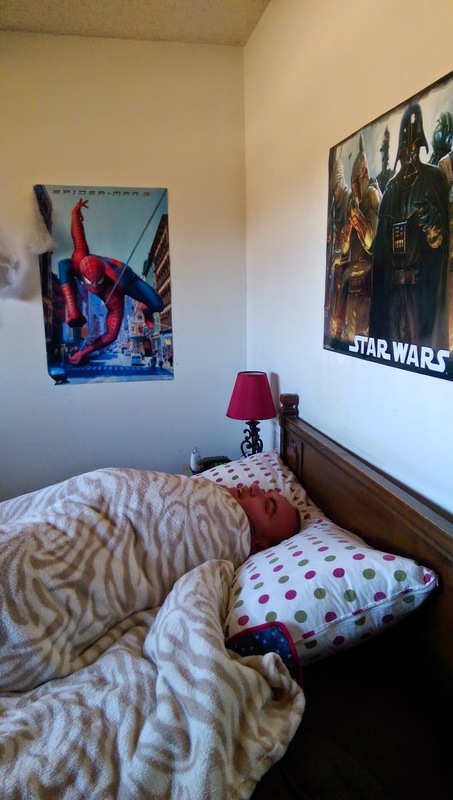 He knew that we would leave around 10:00, so he was trying to busy himself with a movie or a game in his room……until he remembered that Mom sometimes needs hurrying, no matter how many times she says that she does NOT need another hurry-up reminder. As he stood there watching my progress…..or lack thereof, in his opinion……I told him that if it worked out, we would get his hair cut on the way to his MRI. IF it worked out, I repeated…..and then I progressed through the usual disclaimer list. IF I could get ready in time (which he seriously doubted)…..IF Aaron was ready (and he let me know that he was! )…….IF Great Clips wasn’t crowded. “I know, I know,” he exclaimed as he left the bathroom. But in no time at all he was back again….standing there staring at me as I fixed my face, as if his staring could or would hurry me forward. Finally, as he turned to walk away, he said, “Tell me when you’re ready…..are you about ready?” He barely took a breath between the statement and the question. I laughed and told him, “NO! I am NOT about ready!”…..and he knew it was time to leave Mom to her face, all by herself. Finally, I WAS ready and so out the door we went. I had checked Aaron in online and when we got there, he was taken right away to a booth. Most of the girls there know Aaron by now. He’s pretty unforgettable after one exposure, trust me. 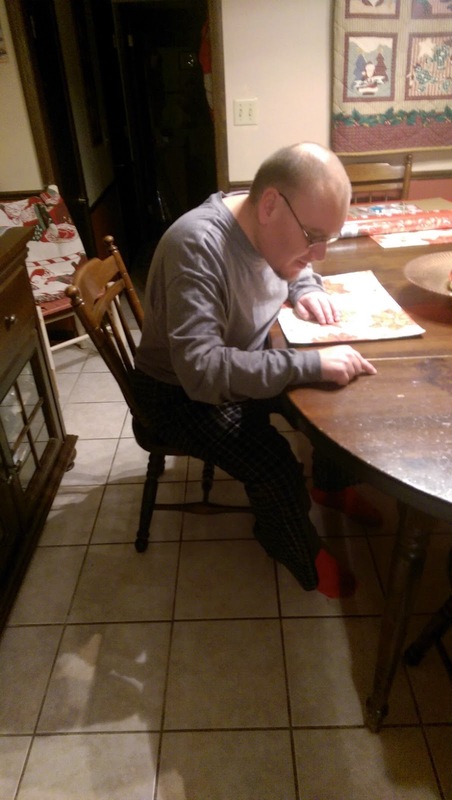 As he sat down, he immediately launched into what movie he was currently watching. Godzilla!! Loud talk ensued about giant lizards and triceratops and saving the world and wanting to know if she had watched the new Godzilla yet. She asked Aaron if he was ready for Christmas and he loudly replied, “MOM? Are we?” And I said we were close. Then he told her that his brother and sister were coming over for Christmas. She asked if they live far away, and he said that his sister lives in Texas and…..”MOM? 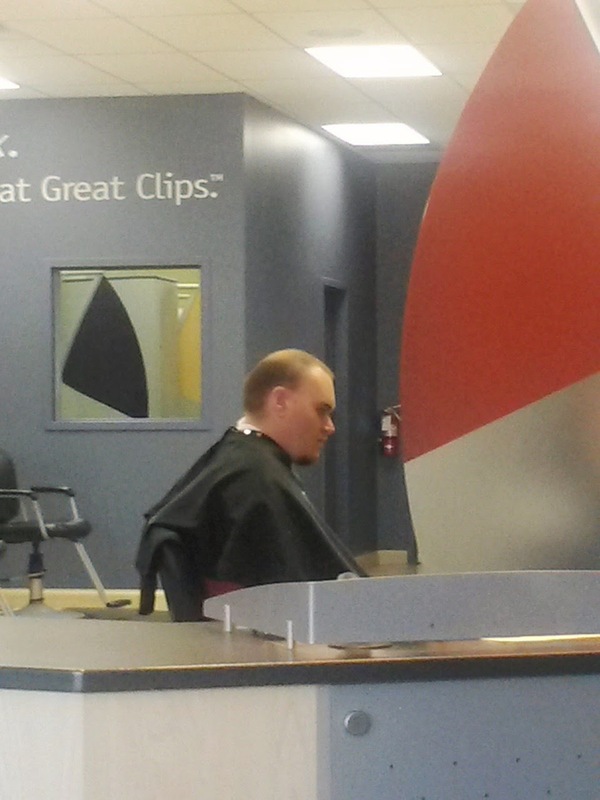 Where does Andrew live?” So I answered, and was aware that everyone in Great Clips was learning a lot about us. She asked him if his hair looked the way he wanted it. “MOM? Does it?” Oh dear. The words seemed to hang thick in the air. He wasn’t talking Godzilla, or eating out, or shopping, or Christmas at that point. I wondered if she was sorry she had asked him this question, but how could she have known? And good old Aaron wasn’t the least bit fazed by his answer. He told her he was getting an MRI as casually as he had told her that he was watching Godzilla. So I tried to not let my thoughts faze me, either. My thoughts were how normal Aaron made it sound that he was going to the hospital for an MRI…..how casual he seemed about it…..because he really is casual about it. He’s not worried or alarmed at all. He’s not sad or embarrassed. And I know I must not be either…..for his sake as well as my own. Yes, I sat there wishing that Aaron could have answered her question on this day with nothing more than something normal and fun to be doing after his hair cut. I’m going to a movie……or I’m going Christmas shopping……or I’m going out with my friends. Yes, I was going to make sure that Aaron had some fun to look forward to today. But first….the MRI. The hair dresser told Aaron she hoped it went well, and as we checked out I made a comment about how the doctor was looking to see if Aaron had a brain. Aaron laughed and everyone laughed, and we walked out the door with Aaron off on his next subject. But on the drive to the hospital, my thoughts were back there at Great Clips and my heart was a little heavy. Then there it was……playing on our Christmas CD…..Amy Grant singing “Silent Night.” The song that somehow always reminds me of my dad and that always tugs at my heart was not the song I was sure I wanted to hear right then. I blinked back tears. All is calm, all is bright….. Sometimes all is not calm. Sometimes all is not bright. 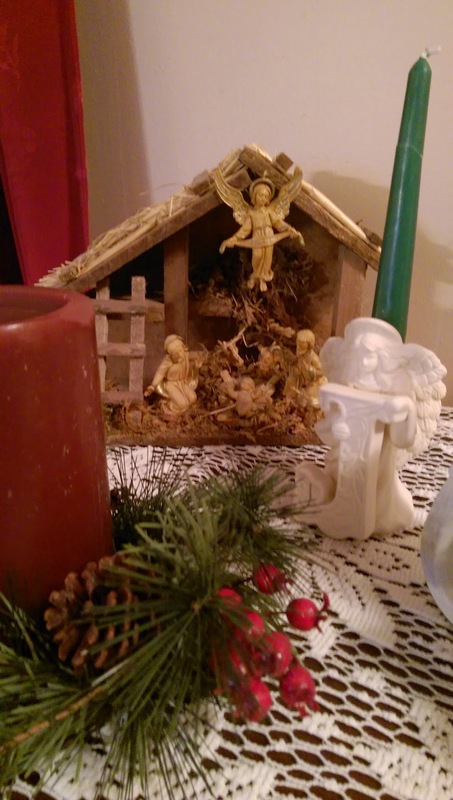 But I knew then, as I have been greatly reminded over the past few days, that the coming of this holy infant Jesus makes everything in my heart calm and bright. His coming makes everything right. Not easy, but right and well. Calm and bright, because of the hope that He gives. Peace that only Jesus can give, because He did come on that silent and holy night long ago. And there on busy Kellogg Drive with traffic on both sides and Aaron chattering away happily beside me, I was seriously filled with peace. We still had the MRI ahead; Aaron still has his special issues; life may still seem unfair to some. But there is peace, more than I have sensed in a long time. I see, more than I believe I ever have, what the coming of Jesus means to me personally and to this world. Peace in the midst of fear…..in the midst of pain…..in the midst of frustration. Peace that’s unexplainable except as I look at that little infant Jesus. “Come on, Aaron!” I said as we got out of the car in the hospital parking lot. Let’s get this bump-in-the-road over with and go have some real fun! So often life doesn’t go the way we think it will. So many of us one day find ourselves looking around at our lives, maybe discontent and feeling of little use to anyone. Our past or current list of involvements may be small compared to so many others. We feel unimportant. Who wants me to fill that position? I don’t have the talent or ability to do that job. Why does that person have it all? What happened to me? Why am I alone when others are surrounded by people? The questions can be endless, as varied as life itself. There was Abraham, way out in Ur of the Chaldeas. Where on earth is that? And who on earth was Abraham? He was but one…..but God called him. And Abraham set out in faith, not knowing where he was going, but knowing that God told him to go. One man……but one……taking just one step at a time. Steps of obedience to God. One by one. I am but one person. So are you. But one. So was little Mary in Nazareth, and so was unimportant Joseph. Called by God to take one obedient step at a time. None of our lives are unimportant in God’s eyes. Are you feeling that way at this point in your life? Do you feel unnecessary? Unnoticed? But you’re not! None of us is unimportant to God! Wherever you are, you are but one. Lonely? Set aside? Disappointed at where you are and how things have turned out? Don’t listen to Satan’s discouragements. Look to God, who chose mighty Abraham when he was but one. God delights in our weaknesses so that His strength can be known. 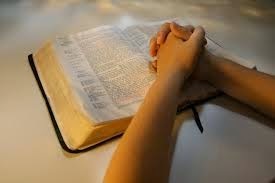 If you are in a place where all you can do is pray, then pray with all your heart. Obey God! And know that those prayers are meaning more to others than you will probably ever see on this earth. You don’t have to be blazing trails and impressing hundreds to be of value to God and to others. I am but one. You are but one. But how important each one is to God. And how important we can be to others! Many memories of Martha Grace were coursing through my mind this morning as I went about my routine, getting ready to drive Aaron to meet his day group. I wasn’t at all surprised to hear Aaron knock on my locked bedroom door as soon as I got out of the shower. Aaron often stands outside my bedroom door when it’s locked, knocking and waiting on me to let him in. He will sometimes stand out in the hall for many minutes, as he did this morning, while he waits for me to open the door. When I finally opened the door this morning, there stood Aaron, holding onto the two sides of the hallway wall with both hands, arms outstretched. “Mom,” he said. “I’m dizzy!” He then proceeded to walk inside my bedroom to follow me as I got ready to dry my hair. However, he was having a very difficult time staying upright. He was more than a little dizzy. He was flat out very dizzy, leaning to one side and then the next as he tried to steady himself. He held on to my dresser and then to the bathroom door as he followed me. I knew right away what this severe dizziness was. His Epilepsy doctor recently increased one of his seizure drugs, a new one that Aaron has been on for a couple months. The doctor had told me that the most common side effect is dizziness. I had hoped that we wouldn’t see anything of significance with Aaron, but my hopes were dashed as I watched Aaron try to walk back to his room…….looking like a drunken sailor. I made sure he was safely in his room, sitting at his desk watching a movie, and I returned to my bathroom to dry my hair. As soon as I finished, I heard Aaron again. This time I looked and found him crawling up the hall. Yes, he was crawling up the hall and into my bathroom like a baby on all fours. Poor Aaron! It made me so sad to see him like that. He lay on my bathroom floor, wondering why he was dizzy. He listened to me explain about the side effect of the increased dose of his new seizure drug. He was satisfied that he was experiencing a side effect……relieved that it wasn’t his movie that was making him dizzy. Eventually Aaron crawled back up the hall and into his bedroom, where I helped him into his bed. “I wish I didn’t take that pills,” he said. “I just wish I could take my other pills.” My heart hurt for Aaron. He dozed a little and I hoped that he would sleep off the dizziness and return to normal when he was awake. I knew that he couldn’t go to his day group like this, so I notified them that Aaron would be staying home. I called his doctor to report the situation and to see what he wanted Aaron to do. And as I finished getting myself ready, I was mentally rearranging my day. At this time of year especially, but really every day, I have my routine figured out for each day. I know what I will do when I drop Aaron off to meet his group……what I will do first, second, third, etc. I try to make the wisest use of my time as well as the wisest way to save gas as I plan what to do when. What will I do today because I can’t do it tomorrow……because tomorrow is also planned out……and the day after that….. I shall rejoice and be glad in it, I told myself. A little change in my routine is no big deal. I can readjust, reschedule, rethink, and be just fine. Some days it isn’t so easy, granted, but today I can…..and I will……and I really have to…..just stop and be glad in it. So as I put away mounds of folded laundry that I had set aside for too long……and cleaned both bathrooms……and talked to Aaron when he stirred…..I kept repeating Psalm 118:24. I kept telling myself to heed its message…..to not complain or sigh…..but to rejoice and be glad in it. IN it…..no way around it or under it or over it. IN the situation I was to rejoice. And that included poor Aaron going to the bathroom after I had thoroughly cleaned his toilet and the floor……and finding myself on my hands and knees cleaning up an even bigger mess, with dear Aaron telling me he was sorry. Dizziness and going to the bathroom when you’re a man don’t mix very well. Aaron is better now. The doctor’s office called with new dosage instructions. The bathroom is clean again. Aaron even got some Sonic for lunch! I am better, too. Better for having learned years ago a most valuable lesson from Martha Grace Green. She had no idea…..or maybe she did……of the many ways that her many students would use that life verse in our own lives. 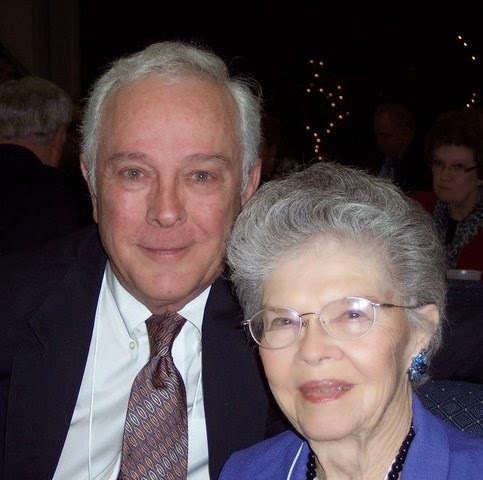 I certainly never dreamed that I would be helping my 30 year old special needs son crawl up the hall to his bed on the morning I learned of Mrs. Green’s death……and had her life verse repeating in my head over and over, giving me great encouragement. I never imagined that this would be my life when I was a young college girl sitting in Mrs. Green’s speech class. But Martha Grace had lived enough life to know that all of her students needed to have one thing ingrained in our heads when we left her class. God has made each of our days to be what they are, and we are to rejoice and be glad in each and every one. Sorry again, Mrs. Green! Thank you, Mrs. Green. Somehow you knew.